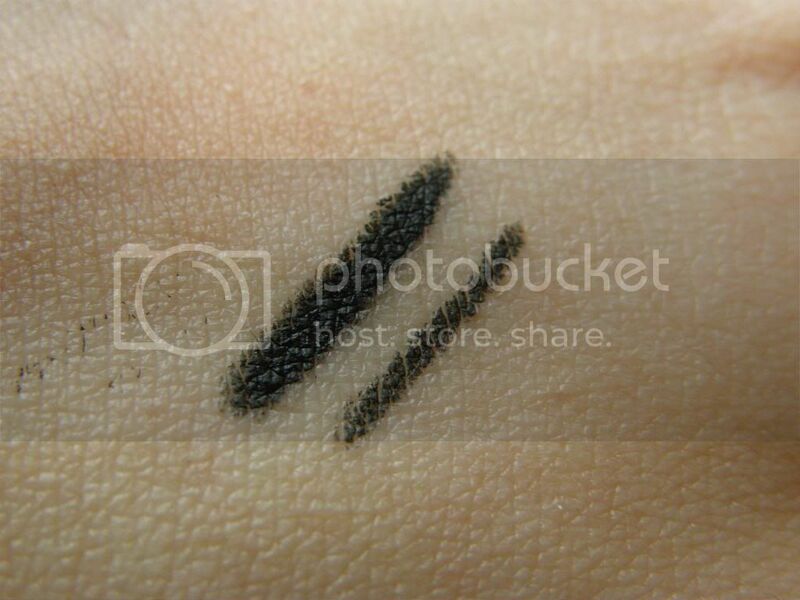 Thrift Thick: MILANI LIQUID EYE liquid-like eye liner pencil: Swatches + Review! 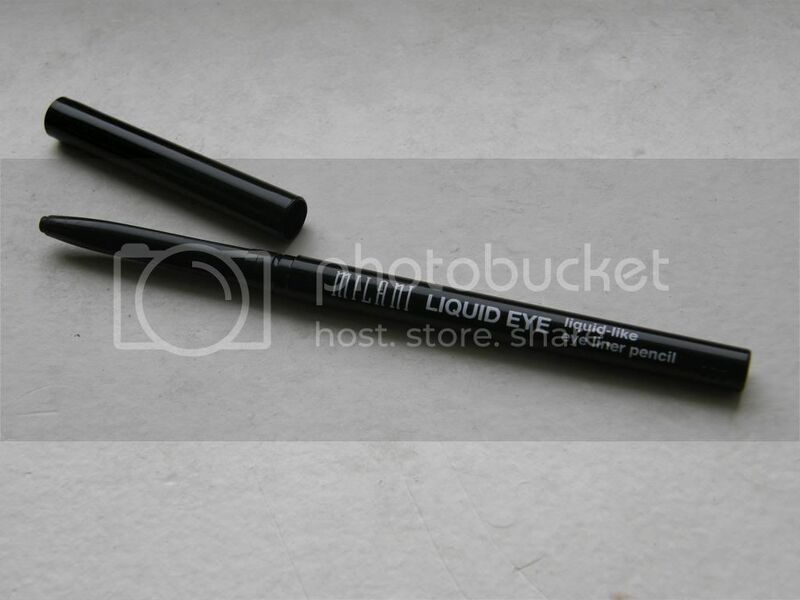 MILANI LIQUID EYE liquid-like eye liner pencil: Swatches + Review! It's been a stupidly long time since I've written anything other than an art history paper for my Masters program so please excuse me if this post is utterly lacking in sparkle and pizzaz (art historians [not that I am one… I just play one while I'm at school] leave that up to the beautiful pictures and paintings, not their linguistic wit and charm). I figured though, since I talked about this eye liner in my last Best & Worst of Beauty video, it was about darn time I wrote a proper blog review on it! So, without further ado… here you go (I told you not to expect articulation from me)! After the fiasco that was my last tightlining pencil, the loveliest group of people known as 'the online beauty community' (that would be YOU ٩(^ᴗ^)۶) came to my rescue and recommended another drugstore alternative: enter the MILANI LIQUID EYE liquid-like eye liner pencil aka dreamy creamy happiness for less than an hour's pay at your miserable retail job. This liner really does feel as smooth as liquid going on so you don't have to worry about tugging or tearing up during the awful procedure that is tightlining. To be honest I used to be pretty averse to tight tightlining in general because it seemed like way too much work without much result; something's telling me that was all because of hard pencils that applied painfully and patchily. Now that I have a liner that's so easy to apply though, I can't help but say "carpe diem" and "why the heck not"? You can see in the pictures above that while tightlining on my lash line doesn't make a huge difference, it definitely does do something. And I'm all about a little sumthin'sumthin' (the end of the semester is getting to me, I apologize)!! My lashes are dark and thick enough where you'd have to be looking creepily close to notice the gaps sans tightliner, especially once I have mascara on, but it's something that I notice and since I wear makeup for me that's all that matters. Which brings me to the next very important factor in eye liners (and makeup in general): I need, and I'm talking need-a-pint-of-Ben-&-Jerry's-while-watching-Dance-Moms-and-cuddling-with-your-cat-after-your-advisor-calls-you-a-failure-NEED, them to be waterproof. After multiple surgeries and no solutions to my excessively watery eyes though I've come to terms with my 'condition' and found the silver lining... I am the ultimate tester of whether things can last through constant flooding, showers, and blotting. So how does the Milani liquid-like eye liner pencil hold up? I'm going to give it 8.75/10 stars which basically equates to anyone with normal or dry eyes being very happy with this liner. Heck, I'm pretty freaking delighted as well but I'd be a liar if I said this didn't smudge/transfer a little bit throughout the day. It does so, however, in the most flattering of ways (just faintly in the corner of my eyes so it looks like a purposeful smoked out lower lash line) so I'm really not bothered by it in the slightest. Ultimately I owe you all a BIG thank you (which basically involves me hugging you and shoving cookies down your throat because that's just how I show my love) for telling me about this liner; I can't imagine there's anything better kicking around the drugstore and I'd recommend it to anyone! Have you tried the MILANI LIQUID EYE liquid-like eye liner pencil? 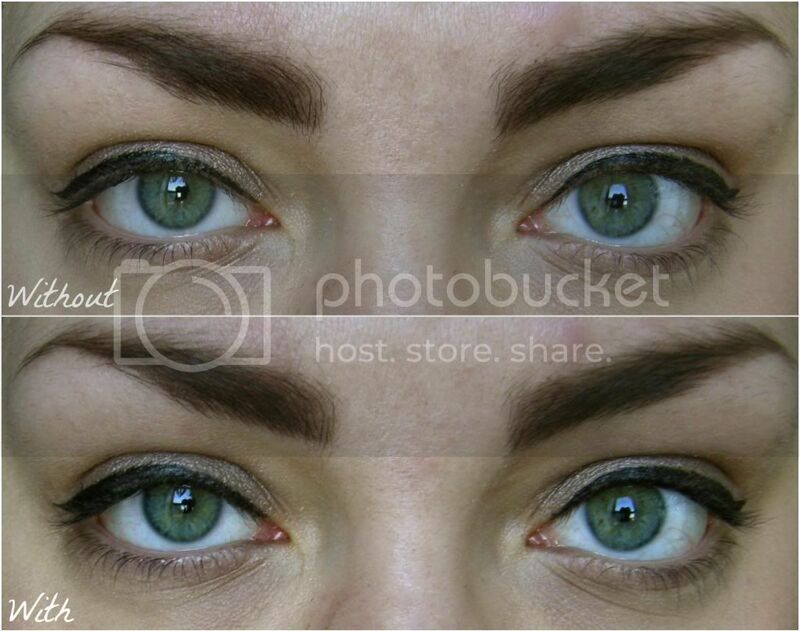 What's your favorite eye liner for tightlining? Aw thank you!! Glad my makeup application was up to par haha ;) And yes, definitely try it! Yay for cruelty free! I just wanted to leave a comment to let you know how much I enjoy your blog. I discovered it last night, and I was cracking up at your videos. Your personality really comes through, and you seem SOOO much more 'real' than many bloggers/vloggers. Keep doing what you're doing, because you're awesome!